Natalia and Mikalai truly do have a storybook romance! Mikalai lived in Boston, while Natalia was living in Virginia. They actually met on a blind date in Philadelphia in August of 2007. They had no idea what to expect and had never even seen a picture of each other. When they saw each other for the first time, sparks flew and it was love at first sight!!! 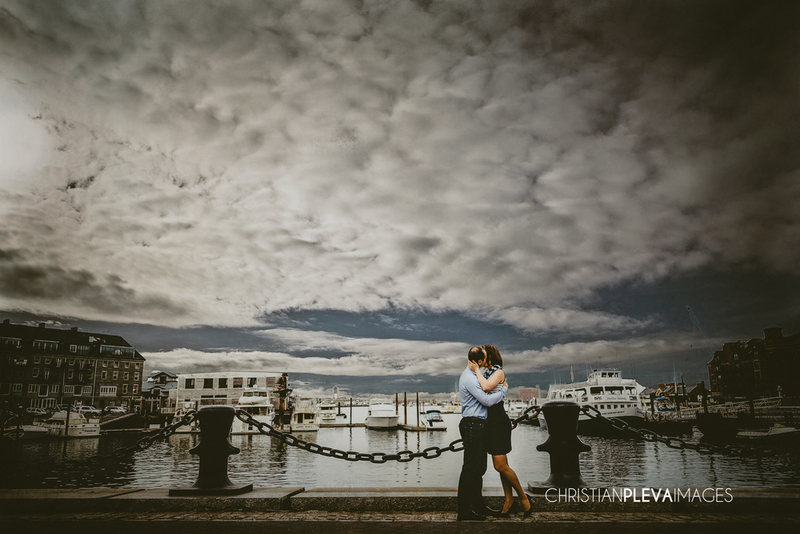 For their engagement session, they wanted to incorporate places they love in Boston which meant shooting around the North End as well as Long Wharf. Christopher Columbus Park was in full bloom adding color and vibrancy to the beautiful spring day! We always suggest different seasons or back drops for your engagement session from the wedding day to give you diversity in your photos. Natalia and Mikalai won't have to worry about that, as they are having a destination wedding on one of the most beautiful beaches in Greece!!! Here are a few sneak peeks to enjoy for now!